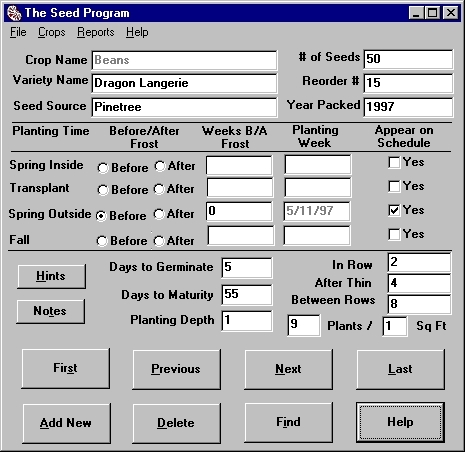 The Seed Program for Windows is a database system for garden seeds. Use it to help organize your seeds -- keep track of what seeds you have purchased where they are from how old they are or what seeds you need to buy.The program will print a planting schedule for the seeds you have entered so you know exactly when and how to plant all of your seeds.The database includes extensive information for a wide variety of vegetables and herbs. 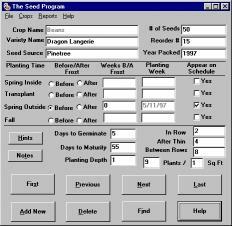 Available information includes proper planting procedure care for the crop organic methods of combating pests and diseases and the proper harvest and storage of the crop.The Seed Program can also serve as a garden journal for you to enter notes about your experiences with specific varieties of garden crops.The Seed Program is designed to be easy to use for gardeners with any level of computer experience.  Context sensitive help is available throughout the program.